Zevrix Solutions announces ArtOptimizer 2.7.12, a compatibility update to its workflow automation solution for Adobe Illustrator. ArtOptimizer helps users reduce Illustrator link size and speed up processing by automatically eliminating excess image data and performing essential image adjustments. The software lets users save gigabytes of disk space, accelerate file output and cut costs through faster processing. The new version adds compatibility with Illustrator and Photoshop CC 2019. Toronto (ON), Canada — Zevrix Solutions today announces the release of ArtOptimizer 2.7.12, a compatibility update to its workflow automation solution for Adobe Illustrator. The only tool of its kind on the market, ArtOptimizer eliminates the excess image data of Illustrator picture links and performs essential image adjustments, thereby helping users save disk space, accelerate document output, and cut overall production costs. The new version makes ArtOptimizer compatible with the recently released Illustrator and Photoshop CC 2019. The update is offered free of charge to the licensed ArtOptimizer users. The same version of ArtOptimizer can be used with any version of Illustrator from CS3 and later. In the end of the processing ArtOptimizer reimports images to Illustrator at 100% in their precise position. As a result users can save gigabytes of disk space and countless hours of optimizing images manually. In addition, ArtOptimizer helps users accelerate document printing and exporting to PDF, speed up file transfer to service providers, reduce job turnaround, and cut costs through faster processing. ArtOptimizer can be purchased from Zevrix web site for US$119.95, as well as from authorized resellers and Adobe Exchange. Trial is also available for download. ArtOptimizer requires macOS 10.5-10.14, and Adobe Illustrator/Photoshop CS3-CC 2019. Located in Toronto, Canada, Zevrix Solutions provides productivity solutions for Adobe Creative Suite software, PDF and graphic file diagnostics, as well as Microsoft Office on Mac OS. 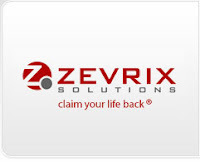 Zevrix Solutions is dedicated to helping professionals achieve more while doing less through automating their everyday tasks, producing error-free documents, saving disk space and cutting production costs. For more information, visit http://www.zevrix.com. Zevrix Solutions announces that ArtOptimizer, the company’s workflow automation solution for Adobe Illustrator, is now available on Adobe Exchange, a new and improved Creative Cloud marketplace. Adobe Exchange makes it easier for customers to discover and install third party plug-ins for Creative Cloud. ArtOptimizer can automatically reduce the size of Illustrator links and performs essential image adjustments thus helping users save disk space, speed up file output and cut production costs. Toronto (ON), Canada — Zevrix Solutions today announces that ArtOptimizer, the company’s image workflow automation solution for Adobe Illustrator, is now available on the new and improved Adobe Exchange. The only tool of its kind on the market, ArtOptimizer eliminates the excess image data of Illustrator links and performs essential image adjustments thus helping users save disk space, accelerate document output and cut overall production costs. Adobe Exchange provides a new way to search, discover, and install plug-ins, extensions, and other content for Creative Cloud products.. As a unified destination that brings third-party integrations with Creative Cloud, Document Cloud & Experience Cloud under a single umbrella, Adobe Exchange will make it easier for customers to discover and install integrations that expand and enhance what they can achieve on Adobe’s Clouds. In the end of the processing ArtOptimizer reimports images to Illustrator at 100% in their precise position. As a result users can save gigabytes of disk space and countless hours of optimizing images manually, accelerate document output, reduce job turnaround and cut costs through faster processing. ArtOptimizer can be purchased from Adobe Exchange for $119.95, as well as from Zevrix website and authorized resellers. Trial is also available for download. ArtOptimizer requires macOS 10.5-10.132 and Adobe Illustrator/Photoshop CS3-CC 2018. Zevrix Solutions announces that ArtOptimizer for Adobe Illustrator is now available on InkyDeals, a discount website for designers and creative professionals, as part of its Ultimate Mac Bundle. The bundle lets users get 11 Mac apps at a low price of $39. ArtOptimizer is a workflow automation solution that reduces the size of Illustrator links and performs essential image adjustments. The app lets users save gigabytes of disk space, speed up file output and cut costs through faster processing. Toronto (ON), Canada — Zevrix Solutions today announces that ArtOptimizer, its image workflow automation solution for Adobe Illustrator, is now available on InkyDeals as part of its Ultimate Mac Bundle. ArtOptimizer helps users eliminate the excess image data of Illustrator picture links according to the target resolution specified, and performs essential image adjustments such as color conversion and sharpening. InkyDeals is a discount website dedicated to offering designers, programmers and creative professionals best deals and design bundles, at exclusive prices. Their new software bundle offers 11 premium Mac apps at a low price of $39 thus lettings users save over $500. In addition to ArtOptimizer the bundle includes FilePane, Chrono Plus, VideoGet and other productivity tools for Mac OS. ArtOptimizer can be purchased on InkyDeals.com as part of the Ultimate Mac Bundle at $39 (full price $119.95). Trial is also available for download. ArtOptimizer requires Mac OS X 10.5-10.11 and Adobe Illustrator/Photoshop CS3-CC 2015. Zevrix Solutions announces ArtOptimizer 2.7.1, a compatibility update to its workflow automation solution for Adobe Illustrator. ArtOptimizer allows to reduce Illustrator job size and speed up processing by automatically eliminating excess image data and performing essential image adjustments. The software lets users save gigabytes of disk space, accelerate file output and cut costs through faster processing. The new version makes ArtOptimizer compatible with Mac OS X 10.9 Mavericks. Toronto (ON), Canada (November 22, 2013) — Zevrix Solutions announces the release of ArtOptimizer 2.7.1, a compatibility update to its workflow automation solution for Adobe Illustrator. ArtOptimizer eliminates the excess image data of document links and performs essential image adjustments, thereby helping users reduce the size of Illustrator job, accelerate document output and cut overall production costs. The new version makes ArtOptimizer compatible with recently released Mac OS X 10.9 Mavericks and is offered as a free update to the licensed users. In addition, the new update introduces several performance and stability improvements. -Save gigabytes of disk space. -Accelerate document output to printer and PDF. -Save endless hours of optimizing images manually. -Save valuable time transferring jobs to outside sources. -Cut costs through faster processing. ArtOptimizer can be purchased from Zevrix web site for US$119.95, as well as from authorized resellers. Trial is also available for download. ArtOptimizer is available for Mac OS X 10.5-10.9 and works with Adobe Illustrator CS3-CC. Zevrix Solutions announces ArtOptimizer 2.7, a compatibility update to its workflow automation solution for Adobe Illustrator. ArtOptimizer allows to reduce Illustrator link size and speed up processing by automatically eliminating excess image data and performing essential image adjustments. The software lets users save gigabytes of disk space, accelerate file output and cut costs through faster processing. The new version makes ArtOptimizer compatible with Illustrator and Photoshop CC. In order to eliminate excess image data, ArtOptimizer automatically scales the images in Photoshop to match their dimensions in Illustrator, changes resolution according to the target resolution specified, and reimports images to Illustrator at 100%. As a result, the size of Illustrator job can be reduced dramatically – some jobs can shrink in size by half and more. The new version makes ArtOptimizer compatible with the recently released Illustrator and Photoshop CC featured as part of Adobe Creative Cloud. The update is free for the licensed users of ArtOptimizer. –Save gigabytes of disk space. –Accelerate document output to printer and PDF. -Save endless hours – and even days – of optimizing images manually. Zevrix also makes the LinkOptimizer software, a similar tool to optimize links in Adobe InDesign documents. ArtOptimizer can be purchased from the Zevrix Solutions web site for US$119.95, as well as from authorized resellers. Trial is also available for download. ArtOptimizer is available for Mac OS X 10.5-10.8, a Universal Binary, and works with Adobe Illustrator CS3-CC.